Avendus Capital advises on Serco’s acquisition of Intelenet Global Services. Serco has today signed an agreement to acquire Intelenet, a leading provider of business process outsourcing (BPO) services to the private sector around the world and in the domestic Indian market, with the business operating a total of 34 global delivery centres across seven countries. Intelenet provides a broad range of middle and back office services and has a strong customer base of international organisations, predominantly across the financial services, travel, healthcare and telecom sectors. This acquisition is in line with Serco’s strategy which is focused on driving organic growth, supplemented by strategic acquisitions of skills and capabilities to enter new markets and sectors where it sees strong opportunities to enhance its growth and margins. The total acquisition cost of up to £385m includes contingent payments of up to £50m. Avendus Capital was the financial advisor for this transaction. 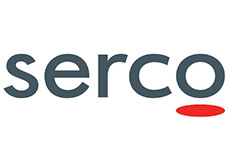 Serco is a FTSE 100 international service company, which combines commercial know-how with a deep public service ethos. Around the world, Serco improves essential services by managing people, processes, technology and assets more effectively. It advises policy makers, designs innovative solutions, integrates systems and - most of all - delivers to the public. Serco supports governments, agencies and companies who seek a trusted partner with a solid track record of providing assured service excellence. Its people offer operational, management and consulting expertise in the aviation, BPO, defence, education, environmental services, facilities management, health, home affairs, information and communications technology, knowledge services, local government, science and nuclear, transport, welfare to work and the commercial sectors. About Intelenet Global Services Pvt. Ltd.
Intelenet is a leading provider of BPO services. Headquartered in Mumbai, India, it operates 34 global delivery centres across seven countries and has over 32,000 employees, 28,000 of which are graduates. Intelenet has a strong customer base of international companies in the UK, USA, India and elsewhere around the world. Customers include Barclays, State Bank of India, Travelport, Apria Healthcare, BSNL and Aircel. Intelenet offers its global customers a broad range of middle and back office services including transactional, process and voice support, finance and accounting services, and business transformation consulting such as process redesign and reengineering. The international BPO business primarily focuses on three vertical markets: Banking, Financial Services & Insurance; Travel, Hospitality & Transport; and Healthcare. As a customer-centric organisation, Intelenet’s services tend to be core to the operations of its customers and are often complex and judgement-based. About Avendus Capital Pvt. Ltd.
Avendus Capital is a leading financial services firm which provides customised solutions in the areas of financial advisory, equity capital markets and wealth management. The firm relies on its extensive track record, in-depth domain understanding and knowledge of the economic and regulatory environment, to offer research based solutions to its clients that include institutional investors, corporates and high net worth families. Avendus Capital has consistently been ranked among the top-five corporate finance advisors in India and has emerged as the advisor of choice for cross-border M&A deals and has closed 35 cross-border transactions in the past 4 years. Avendus Securities through its Institutional Equities practice is able to offer clients best-in-class research-driven advice to help them take investment decisions, while Avendus PE Advisors manages funds raised from its investors by investing in public markets and private equity. Headquartered in Mumbai, the firm has offices in New Delhi and Bangalore. Avendus Capital, Inc (US) and Avendus Capital (UK) Pvt. Ltd. located in New York and London respectively, are wholly owned subsidiaries offering M&A and Private Equity syndication services to clients in the respective regions.